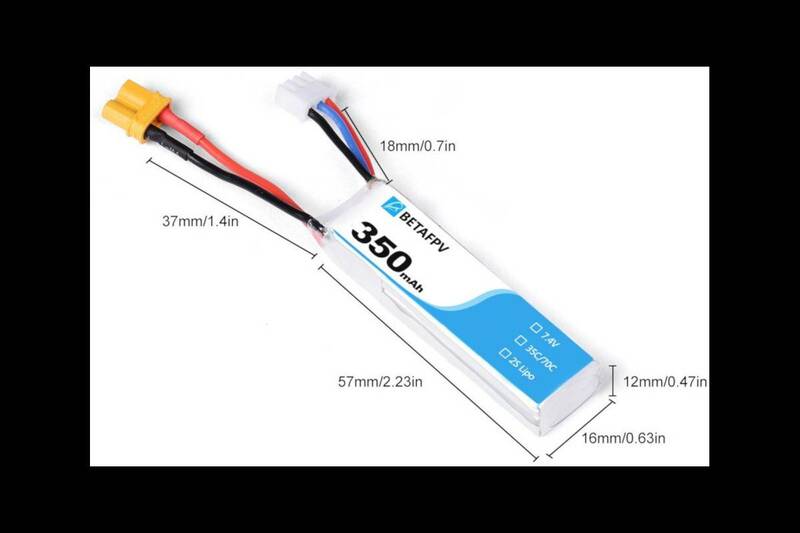 2S HV Batteries for the BETA 65X Whoop. 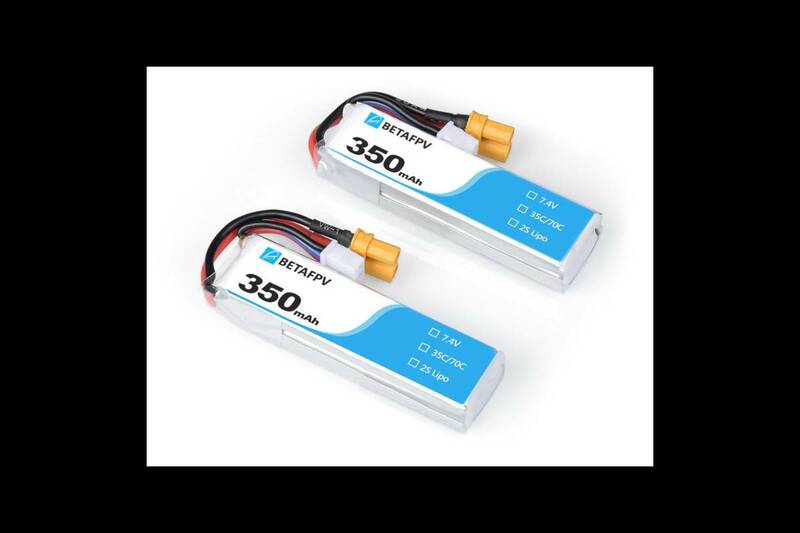 7.4V 30C, 350mAh 2S batteries provided by BETAFPV specifically for the 75X Whoop. The batteries are sold in packs of 2. Thoughts on battery care. If you want to get the best performance and greatest number of flights possible from your batteries, limit your flight times to under 2:30 secs (if your flying hard). It only takes one "too long" of a flight to damage a battery to the point that it will no longer perform as new and worse it will continue to rapidly degrade from that point on.